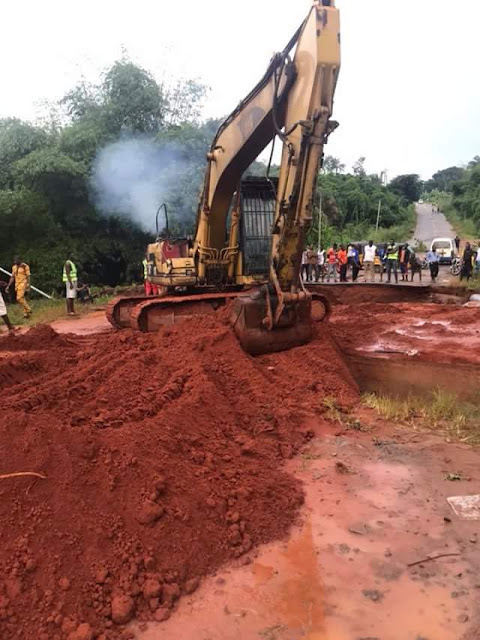 Photos: Anambra Govt commence work on Awka road damaged due to heavy downpour - SWANKYLOADED OFFICIAL BLOG. 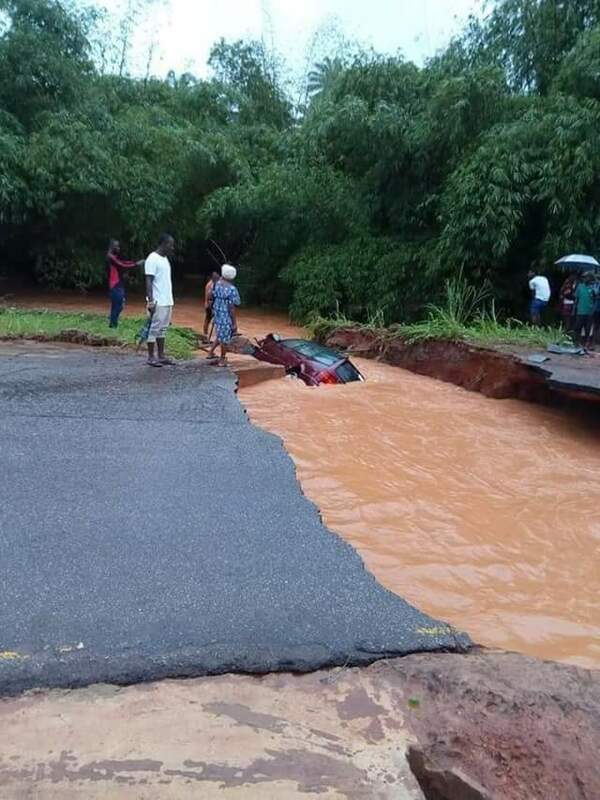 A road in Anambra state that links commuters to Awka, the state capital on Tuesday, divided into two after a heavy downpour. 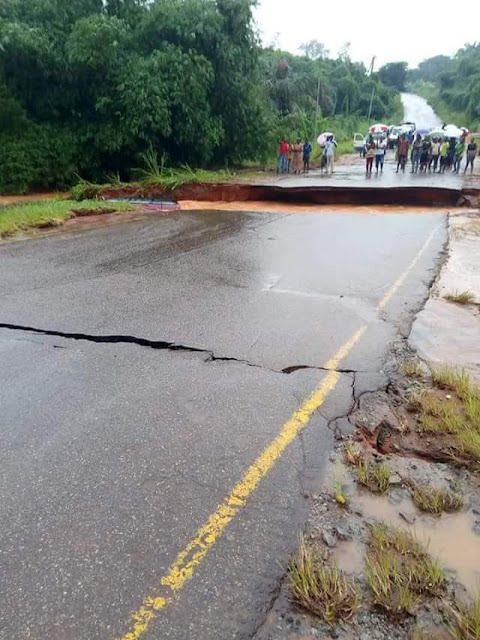 The Nibo-Umuawulu-Awgbu road is a major road that links commuters and communities within to Awka. Commuters find it difficult to get across and make their daily dealings due to the damage. In swift reaction, the Commissioner for Environment promised to take immediate action and on Wednesday, work started on the road. 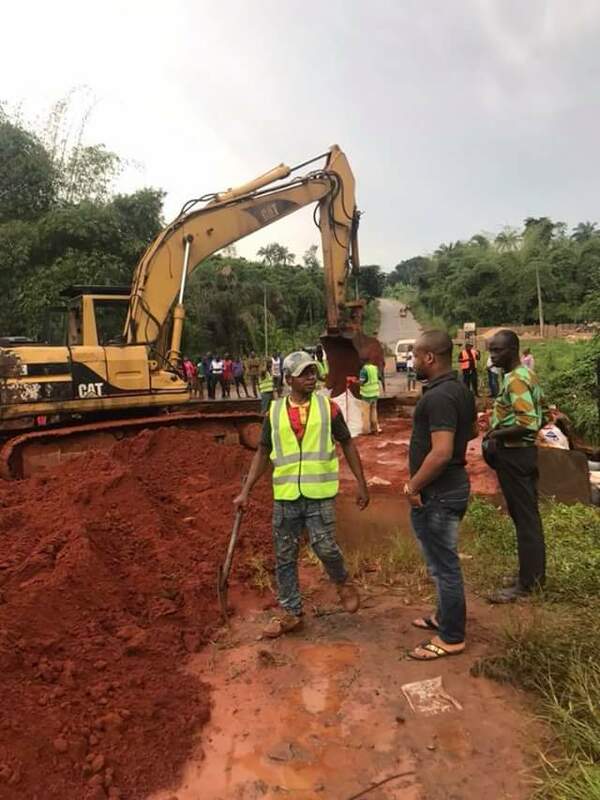 According to the Commissioner, palliative works are ongoing and the workers are very serious. 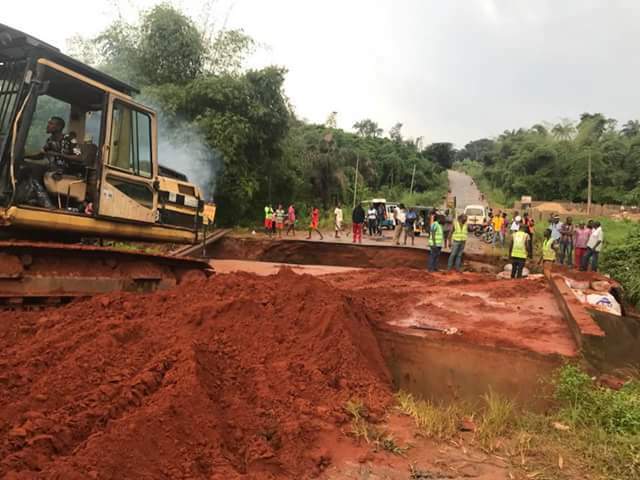 "They aim to make the road open for road users pending when a thorough work which obviously would take more time could be done"